Paul Auster bas been, until just now, the ghost at the banquet of contemporary American letters. Though unquestionably accomplished (in the last decade he has published a memoir, five novels, several collections of poetry, and a major compendium of modern French poetry, which he edited and partly translated), he has been curiously absent from the debates being waged at the far end of the table. There are reasons for this. For one thing, his work does not fit neatly into the currently active slots. While his prose has tended toward stylistic austerity, it has little in common with the water and wafer fare beloved of the minimalists. In the same way, Auster has narrowly escaped the "postmodernist" tag; for all his concern with the slipperiness of perception and identity, his writing has a solid modernist grounding. He has not given up on the idea that art can discover new meaning from experience. This has really been the main cause of Auster's marginality: that be has favored the serious and "artistic"--the novel as epistemology--over the democratically accessible. His characters have been embodiments, players in philosophical puzzles (I'm thinking mainly of the three books of his The New York Trilogy), or test cases to be subjected to the pressure of extreme situations; his plots, coolly calculated. But now, quite suddenly, comes a change. Moon Palace, Auster's new novel, breaks the chrysalis of high seriousness and stretches out its colorful wings. And the retrospective gaze alters everything: we see that his career has been in fact a complex progress toward liberation. I had always imagined that death would numb me, immobilize me with grief. But now that it had happened. I did not shed any tears, I did not feel as though the world had collapsed around me. . . . What disturbed me was something; else, something unrelated lo death or my response to it: the realization that my father had left no traces. We then partake of the sustained excavation of the life--or the apparent non-life--of a man who was a stranger to himself. A man who hid from all emotion, all responsibility, who donned the proper masks of civility, who confided nothing, gave nothing. "Solitary. But not in the sense of being alone. . . . Solitary in the sense of retreat. In the sense of not having to see himself being seen by anyone else." A coincidental encounter on an airplane (Auster is, throughout his work, a connoisseur of the serendipitous) eventually puts him on the track of the bidden horror in his family's past. He learns that 60 years before, in a small Wisconsin town, his grandmother shot her husband to death in the kitchen. His father, Sam, then a young boy, was present. The psychological clues begin to tall into place; the memoir becomes a kind of Freudian detective story. Auster steeps himself in ancient newspaper clippings, clarifying the web of circumstance for himself. Now all of the reticence, the blankness, that he remembers in his father can be explained. But explanation is cold comfort: a small compensation tor a life with a man who gave nothing, and left nothing behind. Nothing, that is, but a permanent suspicion of appearances. He finds a fresh sheet of paper. He lays it out on the table before him and write these winds with be pen. It was, it will never he again. Remember. 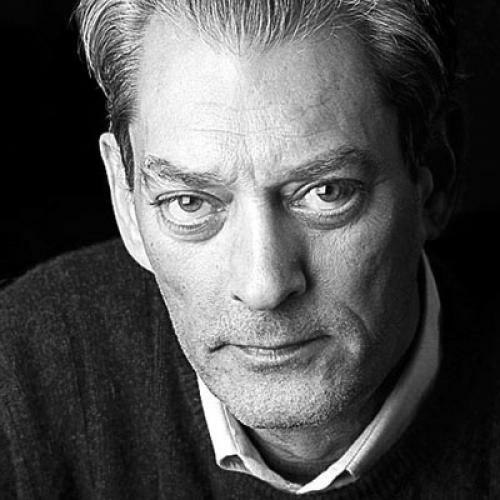 Auster’s next three books, City of Glass, Ghosts, and The Locked Room, known collectively as The New York Trilogy, can he seen as detached, intellectual explorations of some of the core themes of the memoir. Each of these short, elegant hooks turns on a search of some kind--all of them feature detectives, missing persons, mistaken identities, the moods are of" watching and waiting. Personalities and human crochets have no place here. Indeed, Auster seems bent upon pruning the urban detective novel (he has written in the genre under a pseudonym) of all extraneous particulars in order to reveal the underlying paradigm: that all existence is, at root, a stalking of clues to the self, and to the true relation of that self to everything that is Other. I read steadily for almost an hour, flipping back and forth among the pages, trying to get a sense of what Fanshawe had written. If I say nothing about what I found there, it is because I understood very little. All the words were familiar to me, and yet they seemed to have been put together strangely, as though their final purpose was to cancel each other out. . . . Each sentence erased the sentence before it, each paragraph made the next paragraph impossible. In some way, this response to the text is designed to mirror our response to the text that encloses it. The prose is thrilling in its reduced precision, its escalating sense of paradox, but it asks of the reader a powerful appetite for cerebration. The problem with self-reflexive fictions is that they obey a law of diminishing returns. Unable to suspend his disbelief, the reader starts to find the revelations merely academic. Auster appears to have recognized this. In In the Country of Last Things (1987), he reasserted the traditional rights of the genre, exploring the "real" (here the word needs cautionary quotation marks) by way of the invented. This is not to say that Auster found his way back to naturalism--he's too much of a modernist for that--but he does allow us to forget that the story is the product of a superintending author. In the Country of Last Things is a legend of post-apocalypse. A young woman named Anna Blume (the book is her letter to a friend) arrives by ship at a large, unnamed port city. Its location, as well as the historical period, remain unspecified. Her mission is to locate her missing brother. But as she discovers that she has journeyed into a nightmare, the search is suspended; survival becomes her sole imperative. Little by little, my hauls became almost adequate. Odds and ends, of course, but a few totally unexpected things as well: a collapsible telescope with one cracked lens; a rubber Frankenstein mask; a bicycle wheel; a Cyrillic typewriter missing only five keys and the space bar; the passport of a man named Quinn . . . but there were certain lines I drew within myself, limits I refused to step beyond. Touching the dead, for example. Anna does eventually cross all of her inner boundaries, and with each transgression she discovers that she is less bound by her "human" ways than she had though. Auster's aim is to find what remains after Anna has been systematically divested of the accretions of civilization. What she arrives at, paradoxically—and exaltingly—is an ideal of charity. Beneath brutishness a flame of goodness can live. In other extremity, Auster suggests, something like grace may flourish. It was the summer that men first walked on the moon. I was very young then, but I did not believe there would ever be a future. I wanted to live dangerously, to push myself as far as I could go, and then see what happened to me when I got there. As it turned out, I nearly did not make it. Little by little, I saw my money dwindle to zero; I wound up living in the streets. The paragraph continues. But one does not need to quote at great length to show that a change has taken place in Auster's prose. The forward motion is now kinetic; the language feels inhabited from within, is self-propelling. Gone is the studious bricklaying, the sense of mind controlling hand. In Moon Palace Auster sets out to write the fantastic destiny tale of Marco Stanley Fogg. In the manner of all good picaresques, Marco is presented as serious, noble-hearted, and (we might think of David Copperfield. Tom Jones, and Huck Finn) orphaned. Born illegitimate--he was never told about his father--Marco lost his mother in an accident while very young. He grew up in the care of his Uncle Victor. (We can compute, by the way, that Marco was born in 1947, the same year as Auster.) Victor is something of an eccentric, an itinerant clarinetist with a love of books and chess. He treats the boy to his theories and obsessions, making little allowance for his years. Marco--small wonder--grows up a solitary misfit. Victor uses the insurance payments from his sister's accident to set up a small trust for the boy. He sends him away to boarding school, and later provides tuition to Columbia. When Marco is ready to move to New York, Victor insists that be pack along the dozens and dozens of boxes that contain his library. Marco obliges, though the first use be finds for the books is peculiar; he uses the boxes to build a table, chairs, and bed for himself. Uncle Victor loved to concoct elaborate, nonsensical theories about things, and he ever tired of expounding on the glories hidden in m\ name. Marco Stanley Fogg. According to him, it proved that travel was in my blood, that life would carry me to places where no man had ever been before. Marco, naturally enough, was for Marco Polo, the first European to visit China. Stanley was for the American journalist who had tracked down Dr. Livingston "in the heart of darkest Africa"; and Fogg was for Phileas, the man who had stormed around the globe in less than three months. It didn't matter that my mother had chosen Marco simply because she liked it, or that Stanley had been my grandfather's name-, or that Fogg was a misnomer, the whim if some half-literate American functionary. Uncle Victor found meanings where no one else would have found them, and then, very deftly, he turned them into a form of clandestine support. Not only will Marco fulfill the promise of his moniker, but he will also become, like his uncle, a man who finds meanings and coincidental flashes wherever be turns. Auster obviously loves to sport with the possibilities. The mention of the moon landing in the first sentence is a case in point: Marco's wanderings will be accompanied at every step by lunar symbols. The word "moon," the orb's painted image, and the orb itself are persistently recurrent in these pages. To what end? Perhaps just to place everything under the aspect of fancy and madness (lunacy). But Auster is also, to some extent, seeding the clouds to make sure that there will be rain. Though the references at times feel artificially planted, they help to promote an atmosphere of uncanniness that makes the myriad coincidences seem less impossible than common sense would judge. Marco is studying at Columbia and living the fringe life of the late '60s when be learns that Uncle Victor has died. Soon after, compounding his grief, he discovers that his money is nearly gone—he will not be able to make his way through school as planned. Marco faces the problem with profound passivity. Little by little--reading them first--he sells old his uncle's books. When that money is gone, he starts to practice extraordinary economics, giving up one necessity after the next. He all but stops eating. Finally, inevitably, his landlord throws him out. But even when he reaches the street, Marco cannot take initiative. He can only react. It is as if he must undergo this peculiar rite of passage—turning himself into a vagrant—before be can connect with his fate. Holderlin's lines are appropriate here: "Near, but hard to find, is the God / But w here danger is, there the saving power grows." When Marco reaches the far extreme of destitution, everything changes. A beautiful young Chinese woman named Kitty Wu rescues him and becomes his lover. And very soon after. Marco answers a posted ad. The problem of making a living is solved as be signs on as amanuensis and scribe to a wealthy old cripple named Thomas Effing. The first third of the book, which I have tried to summarize, is enormously compelling. We identify with Marco, share his confusions and pains. The voice is direct and winning. In addition, Auster is skillful in creating the ambience of the limes: Marco's urban adventures are played against a backdrop of larger social malaise; change and violence are everywhere on these streets. Our hero is living, exaggeratedly, the life of his times. Alas, with the introduction of Effing comes a shift that weakens the strong surge of Marco's tale. The major turning points in Effing’s life had all taken place in America, in the years before his departure for Utah and the accident in San Francisco, and once he arrived in Europe, the story became just another story. . . . Effing was aware of this. I fell, and though he didn’t come out and say it directly, the manner of his telling began to change, to lose the precision and earnestness of the earlier's episodes. A meta-fictional prescience is expressed here: Auster has, likewise, begun to lose the precision and earnestness of his earlier pages. I am circumspect about describing the developments in the second part of Moon Palace, because the drama hinges upon a series of recognitions as outlandish as anything in Dickens. I will not spoil the leader's pleasure by discharging the central tensions. I will say only that a player even stranger than Effing makes his way onto the stage, and that the discoveries that Marco subsequently makes tie a knot of lineage so bizarre that he ends up poised between madness and enlightenment. In contriving his kinds of resolutions, Auster takes a risk: the novel that began among portents and promises ends up ominously close to campy self parody, too many coincidences overwhelm the ground of plausibility that meaningful coincidences require. While Moon Palace never entirely surrenders its charm—the writing is engaging throughout—its animating force slackens at the halfway mark. One would like to herald Auster's breakthrough without reservations. He has a rare combination of talent, scope, and audacity. And in the beginning of this novel, when all of the elements are working in concert, the narrative achieves an irresistible propulsion. The diminution, therefore, a consequence of overreaching, is doubly disappointing. Still, there is the good news. Auster has served out an exciting apprenticeship. He stands poised to write something momentous about our times. Sven Birckert's The Electric Life: Essays on Modern Poetry has just been published by Morrow.